Have you ever had a day where you just wanted to laze in bed when you know that you needed to bet to office…. sometimes, we give in snooze the alarm for a bit more than usual… we land up going in late… do you get a little laid back on a Friday??? We all have those days!! Today… my little one had one of those days… I felt an ache as I saw that look in her eyes as she was being yelled at to hurry up. We all love to have an open relationship with our children, we would like them to come to us with anything and everything.. we want them to see us as friends as they grow. 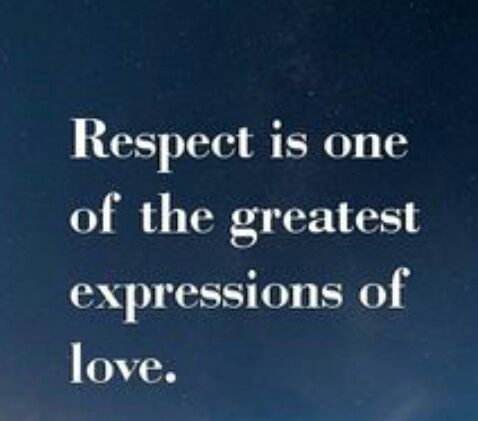 I believe, respecting their feelings is something that will help nurture that special relationship. We grown ups use the parent card… or the ‘because I said so’ when we want our little ones to fit into our schedule. We should encourage our children to share there feelings with us; more importantly we should teach ourselves to listen and pick up on their feelings and respect them. Remember that these little people may not understand their emotions and feelings, so let them emote and let us help them understand what they are experiencing by listening to them and take the opportunity to explain that you too have feelings and its a give and take. You might be surprised at how understanding your child will be! There is a saying that goes ‘Respect those who deserve it not those who demand it’ our children sure do deserve it! It’s tricky parenting… but it is worth giving it a short. You will discover a side to them that you may not have known…they may too. I think its a step towards raising confident children. I land up yelling at the child, lecturing them about be careless… questioning them about their ability to hold a cup without dropping what’s in it! …..But…. wait a second… I am talking to a child that accidently spilt something! The correct thing to do was to respond… tell them that accidents happen.. and that it can happen to anybody… even to mama! Oh!! When I think back to all the times I have reacted instead of responding!!!…. I feel guilty! Recently I read post on Facebook, that was talking about how we as parents sometimes react instead of responding! I found that so true especially when I get upset. I think a lot of us fall pray to reacting to someone in our lives. As a parent of two children, I sometimes get a little more aggravated in situations, where they push my buttons when I least expect them too! For instance, when one of them spills something on the floor that has just been swept and mopped.. on a day when I am just so tired…. it gets to me… and I land up yelling at the child, lecturing them about be careless… questioning them about their ability to hold a cup without dropping what’s in it! …..But…. wait a second… I am talking to a child that accidently spilt something! The correct thing to do was to respond… tell them that accidents happen.. and that it can happen to anybody… even to mama! But life is such that we cannot undo what we have done but we can change our behaviour going forward. We are parents but we are first human beings.. we make mistakes. 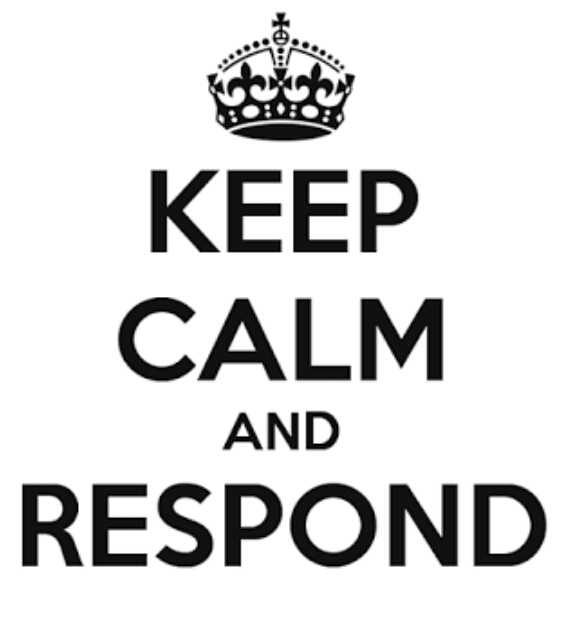 I now, have begun to respond more rather than reacting… Although sometimes.. I forget and then I get a nagging feeling that gets me when I do.. so I make sure that I apologise for my behaviour. The important thing is that we check our behaviour and control our need to react, for this we must first recognise our fault… so take a moment to see where our reactions get the better of us.. it could be triggered by something or someone else. 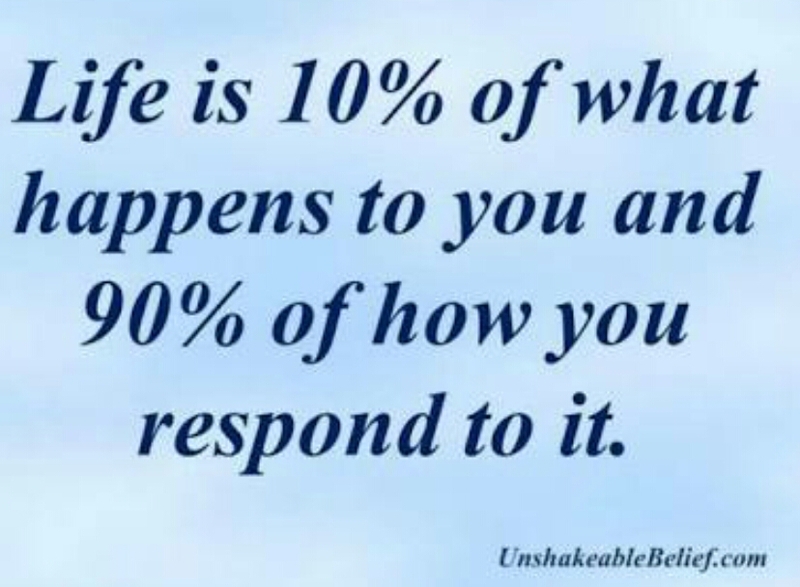 Take a moment to figure that out and correct your behaviour.. we may not know how much damage our reaction may be causing to the other person be it to your partner, friend, spouse, parent, child, employee… you get my drift. Author karenza robsonPosted on February 20, 2017 Categories Being Mom, life, parenting, relationships, YouTags children, dad, family, father, guilty, mom, motherhood, parenting, react, relationships, respond1 Comment on To Respond or react! ​From one mother to another: Getting by the sick days.. I think that watching a child battle sickness is by far one of the hardest thing parents have to do. The feeling of helplessness can be worrying and frustrating. Knowing that your child has to live with sickness for an indefinite period or, for the rest of their life, is extremely stressful. It takes some time to accept! When ever your child has fallen ill, have you noticed that uncomfortable silence that fills an otherwise noisy home?!! I have!! It makes me so uncomfortable! It keeps me spinning around the house keeping myself busy. I think that watching a child battle sickness is by far one of the hardest thing parents have to do. The feeling of helplessness can be worrying and frustrating. Knowing that your child has to live with sickness for an indefinite period or, for the rest of their life, is extremely stressful. It takes some time to accept! Until that acceptance happens, it is common for parents to wonder why your child has to go through something like this.. I have read, researched and even wondered if I did anything wrong! All natural responses! What we need to keep in mind while we are sorting ourselves out, is to see that we don’t make our little one uncomfortable with our display of emotions and actions.. what I mean is – do not suddenly become over protective and smother the child from being him or her self. Instead we should teach them to cope with the illness, educate them along the way. Take a minute to take a deep breath when you know that you need it. We need to talk to our partners and discuss with each other on what goes, so that both are on the same page at all times. Lastly.. everyone has advice to give.. hear them out.. take what you need from it… do what ‘you’ have to do for your child… he is your son, she is your daughter.. listen to your gut.. let your motherly instinct guide you. Stay strong, stay healthy, our children need us to be! Believe that this too shall pass! Author karenza robsonPosted on October 1, 2016 Categories Being Mom, life, Love, parenting, relationshipsTags children, connect, family, illness, parenting, toughtimesLeave a comment on ​From one mother to another: Getting by the sick days..
How ever we must remember that it is passing phase, be It the terrible twos and threes or the teenage years. With all the daily pressures that we take on, be it at home and/ or at office it can be draining to have a child throw a fit! Most children are often very well behaved when they are with company…there are some children who throw a fit leaving their parents embarrassed and angry… The dreadful ‘Tantrum’; it is definitely not easy dealing with the tantrums of children. Keep calm, however angry you may be or embarrassed that you may feel, reacting in harsh tones or giving into the thrown tantrum isn’t the best solution in the long lo g run. Let the child play it out he or she has to stop at some point, when children realise that their tantrums don’t effect you, they will ultimately stop doing it. The key here is to find and show them ways of channelling those emotions that they are going through. I know that it is not easy and this method takes time and energy but if you really think about it, it makes sense.. we are teaching our children healthy ways to express their feelings and not shutting them up or giving into their tantrums just to shut them up. Truth be told I sometimes just give in, but the key is consistency and I try not to let my headaches get the ahead of me! What a parent must not neglect is a child’s tantrum to get your attention, this usually happens with the working parent or parents. My word to them would be chalk out a routine that your child can look forward to doing with you; be it bath time, a special game or story time and don’t forget the surprise ice cream now and then. From One Mother to Another: The hushed unborn. Only time can heal all wounds, you may be fine after a few days or it may take you much longer… however, the want to be a mother kicks in more than ever after what you have gone through… don’t fight it… embrace it.. pray and believe… I prayed even harder and I believed that miracles can happen… and mine did, but that’s a story for another blog. So stay strong and believe…together! Author karenza robsonPosted on October 24, 2015 October 24, 2015 Categories Being Mom, relationshipsTags children, grief, husbands, loss, miscarriage, motherhood, wifeLeave a comment on From One Mother to Another: The hushed unborn. Communication! Both physical and verbal in a family is necessary for each of our emotional well-being. How often do you give your children, parents, siblings or spouses a hug? How often do you tell them that you love them? It should be every day; not just on an occasion! “I love you mama” – my heart melts whenever she says those words! My husband comes in after a long day at work and gives me a tight hug, my baby boy gives me a big smile when I cuddle and kiss him… Communication! Both physical and verbal in a family is necessary for each of our emotional well-being. How often do you give your children, parents, siblings or spouses a hug? How often do you tell them that you love them? It should be every day; not just on an occasion! Children need to feel your love, they react to hugs and kisses; as they grow they start to communicate with words and mimic the actions of parents, so if the parents speak words of love to them and show them love then they will grow up being just that way. When young and in love… couples tell each other that they love one another every day… it starts there..
We are just so busy with our routines and responsibilities and are actually more connected to each with our mobile phones and whatsapp that we may hardly say loving words to each other. Hugs and kisses are ‘xo’ and kisses are sent in smileys… where is the human connection?? Kiss your children when they leave for school, hug them… and the same goes to your spouses and parents! Tell them that you love them! Do the same when you walk through the door after work; even before you go to bed! It will make a difference in your lives! There is so much that is said with a hug and a kiss! It is good for your body, mind and soul! Sometimes, it is good to disconnect to connect or reconnect! karenza robson on Choices, Choices! !